A friend of mine sent me this link to an article published in the Guardian on Terrifying French Children’s Books. I’m torn in choosing a favorite among La Visite de petite mort (Death visits a little girl. He kills her), Le Voleur de Lily (The Thief of Lily – Lily is kidnapped), or Le Jour où Papa a tué sa vielle tante (The Day Daddy killed His Old Aunt – true crime for 7-year-olds). 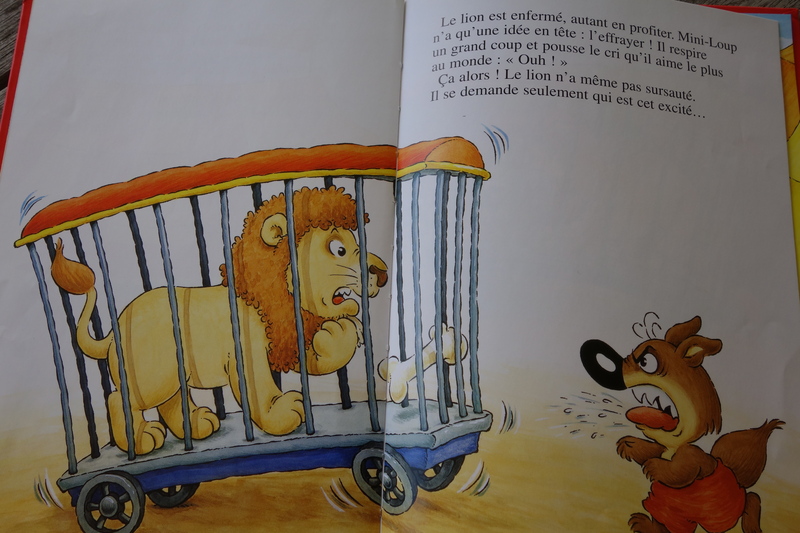 French children’s books, like French movies, aren’t big on the whole “and they lived happily ever after forever and nothing bad ever happened again and everyone was delighted for always” endings. Moral messages don’t seem to be present in many books, either. 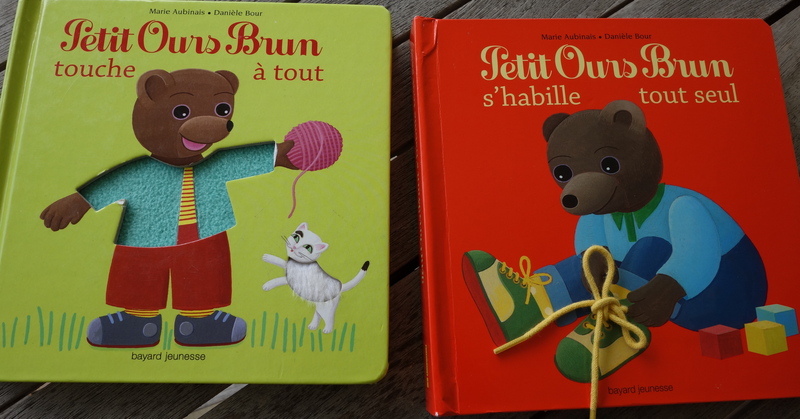 We are amassing a collection of French children’s books in our home. 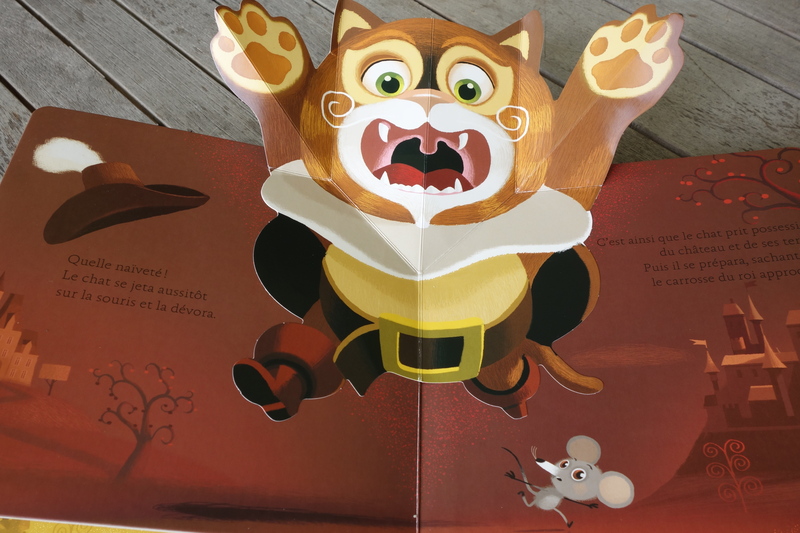 There’s one collection of pop up books that particularly caught my eye for their great art and classic stories, so I ordered several of them from Amazon.fr. Then I read them. Starting with Le petit poucet. Petit Poucet (Little Thumb) is the youngest of seven children. His parents run out of food and decide to abandon their children in the forest. 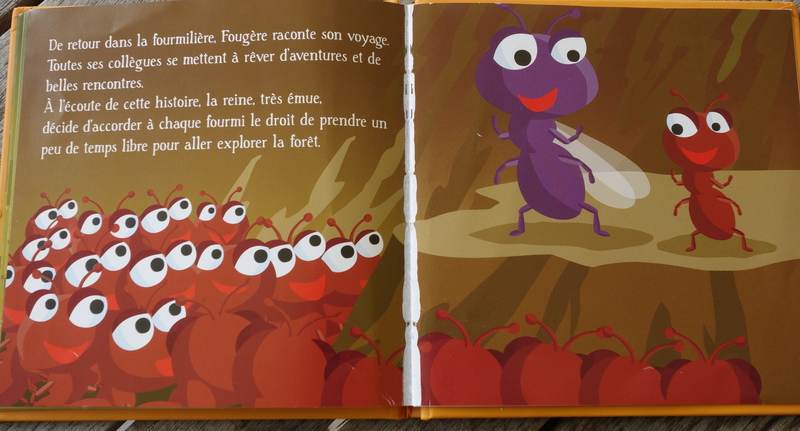 Petit Poucet leads his siblings back to their home, so their parents take them out and abandon them, again. Successfully, this time. The children are captured by ogres who plan to make a fine meal of them, but Petit Poucet tricks the ogre into eating his own children instead. Woo hoo! Happy ending! Il était un petit navire: There was a little boat. The sailors run out of food and draw straws to decide which crew member will be dinner. A little boy draws the short straw and as the men discuss how to cook him and what sauce to use, he prays to the Virgin Mary to save him. We’re coming for you, little boy, with our sharp shiny knives! Happy ending! She does. In our version, anyway. Not so much in the traditional tale. Granted, plenty of our nursery rhymes, songs, (Ring Around the Rosie, anyone?) and old fairy tales aren’t exactly geared for the modern child. But so many have been Disneyfied that we’ve become accustomed to happy endings, justice being served, and a palatable moral message. Though I still have huge issues with the Little Mermaid. She gives up her home, family, fins, and voice for a man? Ugh. Yes, honey, but the prince is so handsome! Many of our most familiar fairy tales were first penned by Charles Perrault, a Frenchman who lived and wrote in the 17th century and who is known as the initiator of the literary fairy tale. Cinderella, Puss in Boots, Sleeping Beauty, Little Red Riding Hood, Blue Beard, and my favorite: Le Petit Poucet… all come from Perrault. He called his collection: Tales of Mother Goose. Château de Breteuil, just outside of Paris, has plays and displays all featuring the tales of Charles Perrault, plus beautiful gardens to wander through. Beauty and the Beast, or La Belle et La Bête, was written by frenchwoman Jeanne Marie LePrince de Beaumont (the version as we best know it). When he returns home, he tells the other ants of his adventures. The queen decides to give each ant some free time so they can all explore the forest, too. Hmmm. Sewing the seeds of, oh dear, dare I say the icky word, socialism? Pretty soon those ants will be expecting eight weeks vacation and free health care. The Petit ours brun series and T’choupi, both of which are also cartoons that are easily found on You Tube, are favorites. 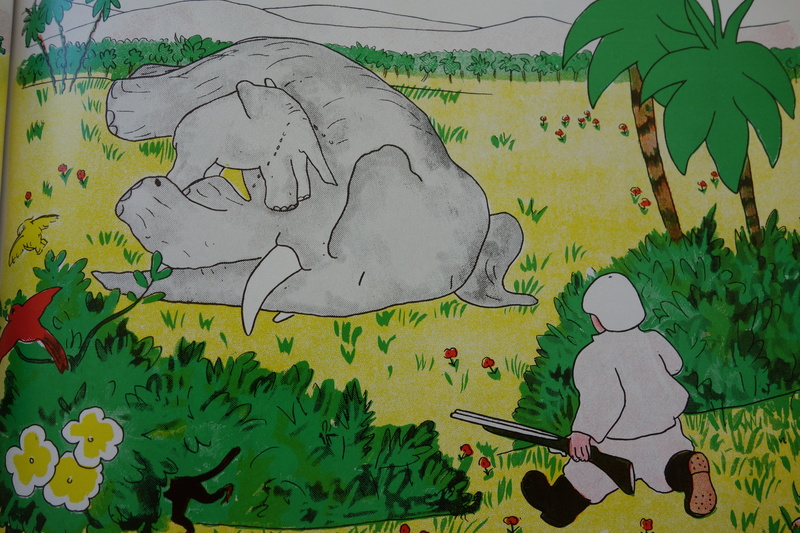 Babar is also one of my daughter’s favorites, though Babar’s mother is killed by a hunter (much like Bambi). We skip over that part for now. I look forward to visiting bookstores next time we’re in France. Any suggestions out there for children’s books we should read? 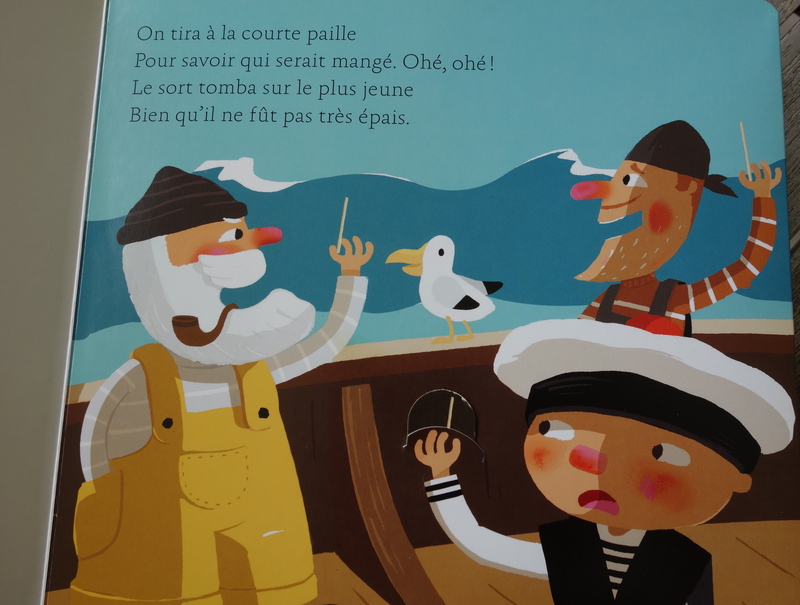 This entry was posted in France, French, Learning French and tagged Bilingual, Books, Charles Perrault, Children's books, Fairy Tale, France, French, French Language, Multilingual, Parenting by A French American Life. Bookmark the permalink. Another book to read: Ernest et Célestine! I used to love it, another beautiful story about friendship. Wonderful, I’ll check it out. Thank you! Wow – horrific book, it sounds like! Thanks for reading! I liked Madeline and Babar when I was little. I liked to imagine myself romantically orphaned, and nonetheless successfully navigating the world and having adventures. They are great books. Funny, none of my French friends have heard of Madeline. Turns out Bemelmans is an Austrian who wrote his books in English while living in the U.S. Still – love them! I didn’t know that! No wonder they have a NYC feel to them. Still, very lovely books and art. Heartwarming indeed. Lovely book for children! I will definitely check out your store. Ironically, I hadn’t thought of how scary weapon-wielding characters are. How very American of me! But you are right – I can’t even see a gun without my knees going to jello, so weapons of any kind in a children’s book = scary. Thank you – great suggestions! For little ones (2-3) I have been a big fan of the Caillou series, originally from Quebec and not scary at all. They so adorably capture that age. For example, in one book Caillou has a nightmare. He cries and Mommy comes to cuddle him. He likes the warm cuddles and thinks Mommy smells good. He realizes that if he has a nightmare every night, he gets cuddles every night. One night instead of Mommy coming Daddy comes, and says that his teddy bear is scared and really would like some cuddles and then leaves. Caillou cries for a while, and then realizes that his bear is warm and smells good like Mommy, and everyone in the house sleeps. 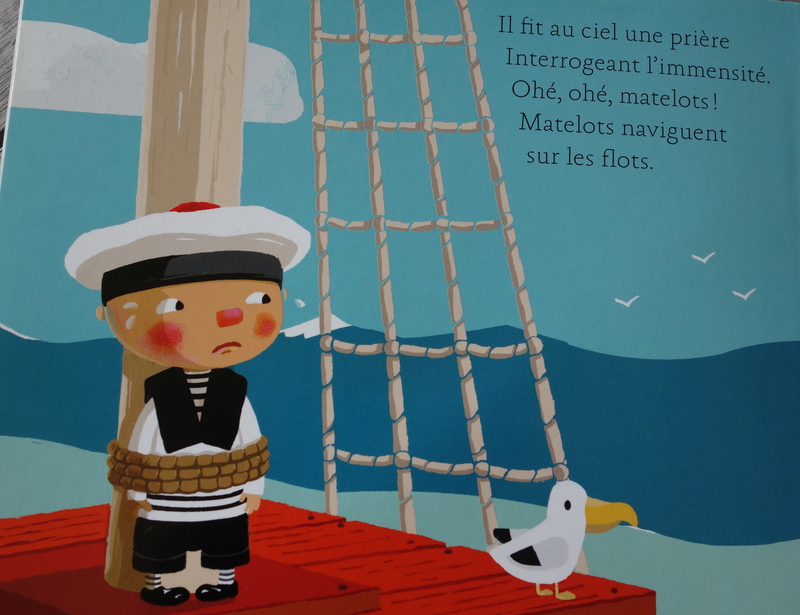 So NOT French in a way that this still-adjusting-to-French-books mommy really appreciates! My favorite tragic children’s book in French is the classic Le Petit Prince. Nelson heard in once in my womb and once since he’s been on the outside. I also got a Barbapapa dictionary from a friend which seems really creative and fun. I was thinking about this same thing the other day, and I realized that my experience of some of these scary books when I was a kid is so different from how I think about them now. For example, as a kid it NEVER occurred to me that the Little Prince might have been interested in anything other than space travel when talking to the snake about how fast the poison would kill him. I think children just accept the world they are given, and what is more important is being there with them to talk it through and make them question the good and bad in any reality and any culture. Great suggestions and observations. I view the fairy tales so differently now than I did as a child. It’s true that children are much more resilient than we give them credit for. Bambi’s mother dying, a stepmother intent on killing (Snow White) or abusing (Cinderella), Panthers hunting boys (Jungle Book)…. I don’t remember being traumatized by these as a child. Personally I find Petit Ours Brun so dull! Great post! My daughter loves them 🙂 Thanks for reading! I love Petit Ours Brun! so cute!! My 6 year old enjoys Barbapapa. I must look into this dictionary that was mentioned! The Zoe & Theo series was also popular with my girls. Although my 6 year old has grown out of it. 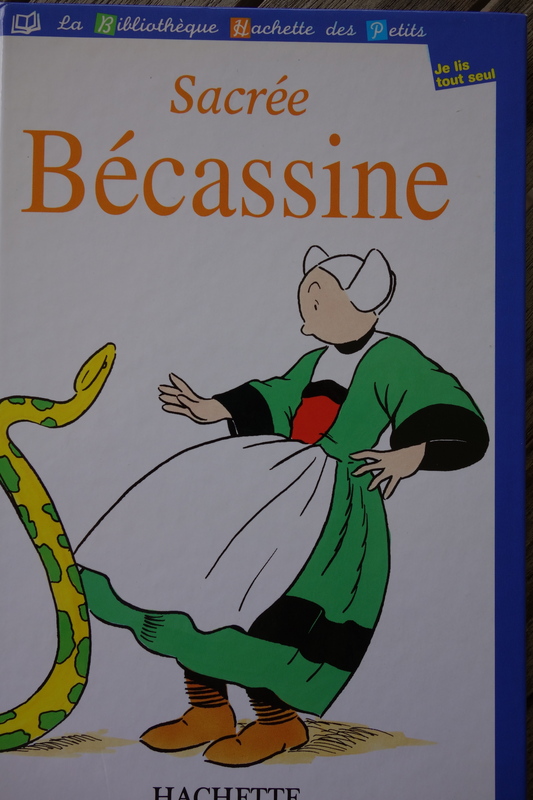 I did not know that Amelia Bedilia was Bécassine in French. I am going to look for those next! Also — we subscribe to Wakou — a nature magazine in French for kids. That is a hit, too! P.S. Thank you for putting us on your blog roll! Glad I found you, too! You have a great blog. I just discovered your blog via multicultural blogs … OMG I LOOOOVE it! you make me laugh because I can totally relate to what you’re talking about– I’m married to a French guy too!! We live in a Spanish/French home and its quite fun! Am following you on FB, can’t wait to read more!! Thanks for reading! Spanish/French – I bet you have some stories, too! ou made me laugh with the Petit Poucet reference. There is actually a cool version (but not for the faint of heart) that was written a few years back as his “diary” It is for older kids, but, yes, overall, pretty harsh from our point of view. We got it at the library in France. It has very interesting drawings and sarcastic humor. My boys are now almost 8 and 11. 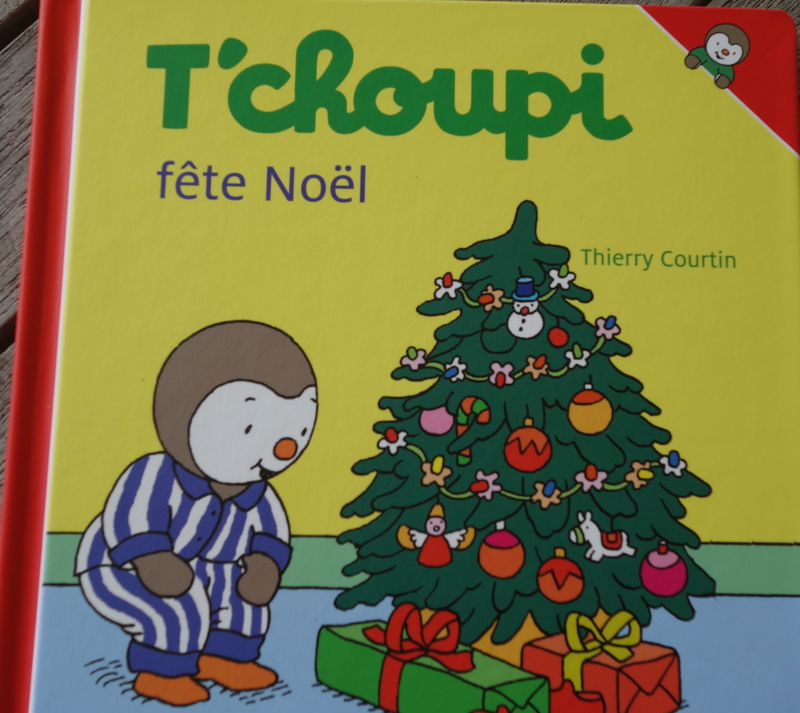 We have loved T’Choupi, Trotro (he is in the US in English on Netflix but kind of annoying in English), Yakari (bande dessinées – BD – for 5 – 10 year old set), Asterix, We also like Rita et Machin and various BD for kids. Great post – thanks! I think all anglophones raising their kids to speak French have this reaction at one time or another (like I did too). Asterix – another favorite. Love those ones! I’ll have to check out some of those others like Trotro and Rita et Machin – haven’t heard of those. Thanks for the suggestions! I love your blog! I am French…yeah nobody is perfect like I always say when asked what nationality I am, my husband is American. I remember loving the Schroumpfs, Barbapapa, Trotro was a big hit at home like Tchoupi, previously mentionned. Boule et Bill was awesome too. Check out la serie de Martine. Keep writing it is hilarious to read you and soooo true! Thank you for reading! 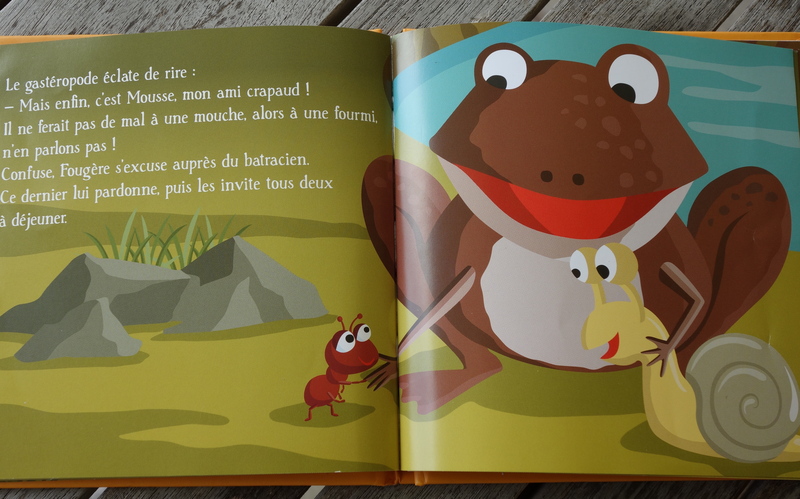 I recently picked up some Martine books at our school book fair – I love them! And the illustrations are gorgeous. Great post! Between your suggestions and the comments I think I’ve got a lot of good leads next time I go shopping! Glad to help – I’ve tried a few of the recommended ones from the comments and we love them – Martine and Caillou come to mind! 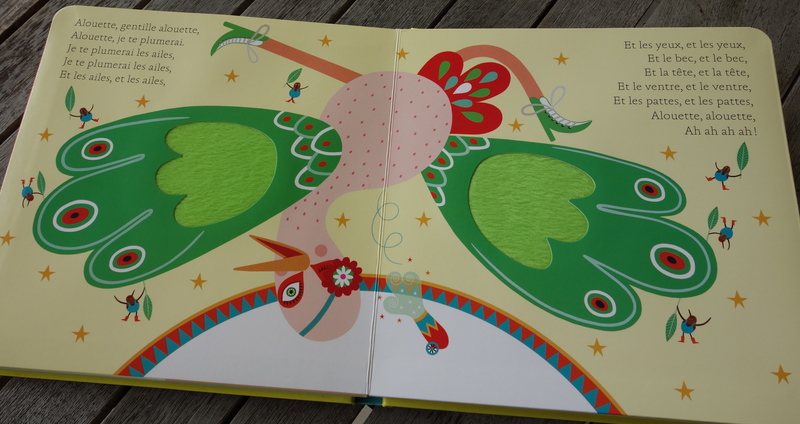 One French children’s book that I (and my son) have really enjoyed is, Petit Dragon est Maladroit by Jann Walcker and Eric Puybaret. It’s about a little dragon who keeps on trying to help people but never quite gets it right. No happy ending like you’d have in an American book (i was a little surprised the first time I read it!) but more like a you’ll get them next time little dragon. 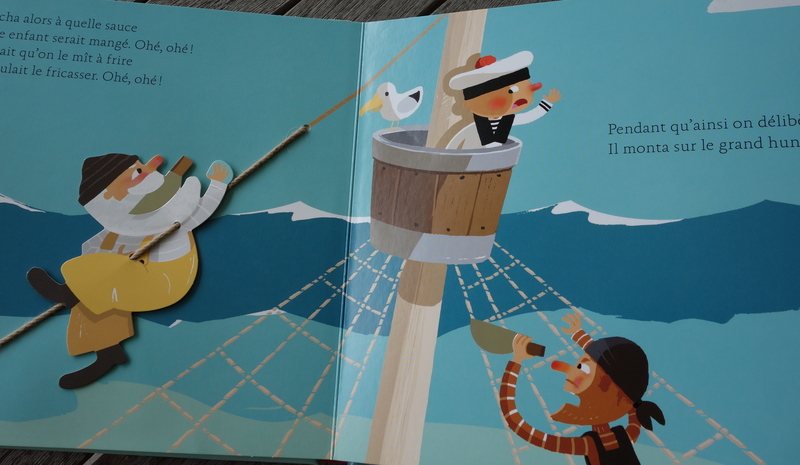 It’s also a touch and feel book so little ones can appreciate the textures on the pages as well. Sounds fun – thanks for the recommendation! Amazon.fr, here I come! Very funny post. I was raised on a French Island & now live in Hawaii. 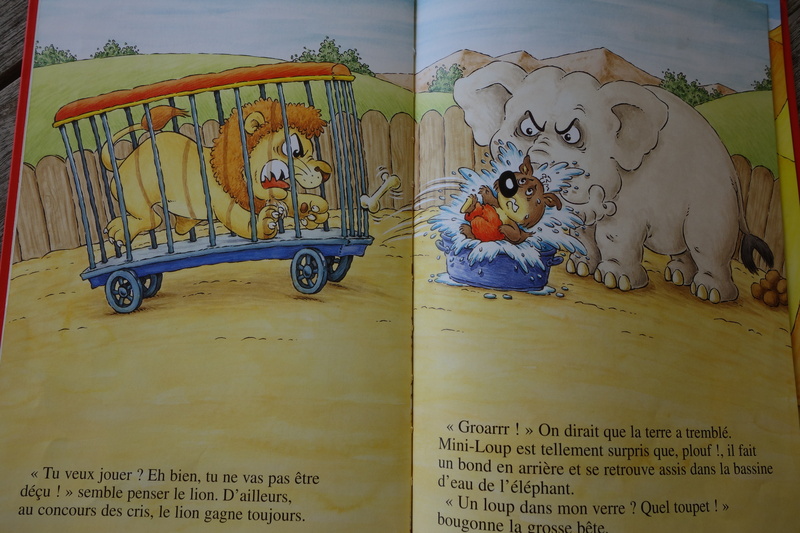 Not easy to find books of the caliber of Dr Seuss’ in French. Beautiful illustrations & the stories are well written. Lots of humor. The collection Bonhomme de Hachette Monsieur/Madame series is interesting. Thank you! We love the Caroline series, too, with her friends. Thank you for the other favorites – I look forward to checking those out. Enjoy Hawaii – I’m jealous as I sit here trying to thaw my toes from being in the snow this morning!